Like other Glengoyne whiskies this is completely unpeated and has a light, delicate character. Lots of fresh bourbon cask influence with flavours of poached pears, green apples and almonds. A great introduction to the Glengoyne range. This is entirely unpeated (unsmoked) with more body and complexity than the 10 year old. .. This is entirely unpeated (unsmoked) with more body and complexity than the 10 year old. One of the ..
An unpeated malt which has been matured in a combination of bourbon barrels, first fill sherry casks.. This was introduced in 2012 as the replacement to the 17 year old. It has been very well received..
A great after dinner malt that like other Glengoyne whiskies is completely unpeated. This has taken .. The 25 year old is one of the newest releases from Glengoyne and it has had some great reviews. This.. 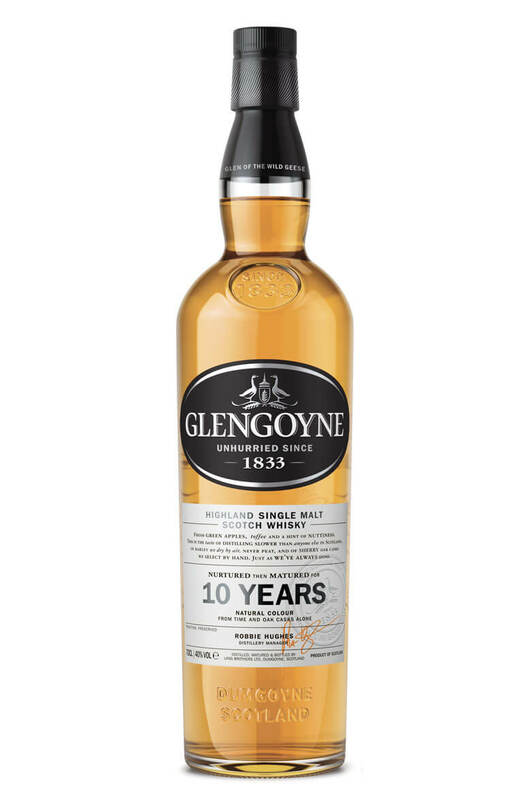 The very first release of Glengoyne's Legacy Series is dedicated to Cochrane Cartwright, the leg..